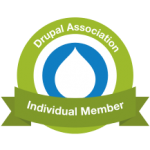 There is no shortage of articles on the web about a company's choice for top modules for a Drupal website, but it's important to note that each project has different needs. Our own goals are: keep the site simple to use, quick to respond, well organized for SEO, and easy to manage. You may be building a site for an intranet, in which case SEO is not important, or maybe you don't care about semantics (hang your head in shame), but in any case, some modules are essential no matter what your need.